This is a view from a Queen Street rooftop. I love the interplay of angles with this close up view of two buildings that are important in my life here in Charleston. 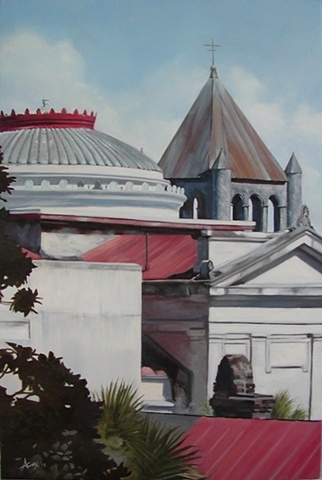 This painting was selected into the 2011 Piccolo Spoleto Juried Art Exhibition.